Area rugs can add comfort and style to a home. But like fully carpeted rooms, area rugs need care and attention if they are to last and stay looking good. This is especially true for rugs in highly trafficked areas. 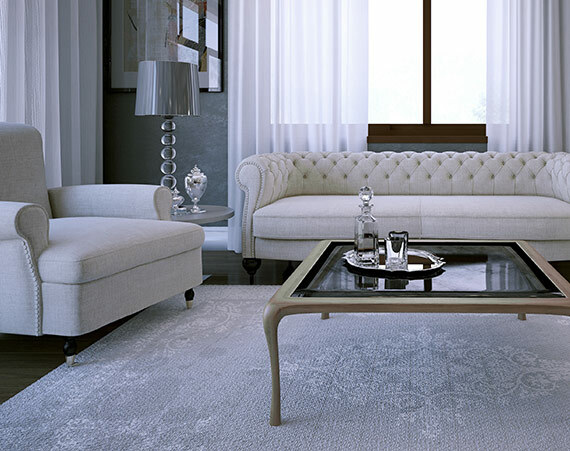 The longer rugs go without professional cleaning, the more they can fade and wear prematurely. The more valuable your rug, the more important it is that you have it cleaned by a knowledgeable professional on a regular basis. At Chad’s Carpet Care, we are trained to clean all types of area rugs. We have the tools and the experience to properly care for your rugs. Using certified cleaning products and gentle techniques, we can revitalize your rug without damaging it – extending its life and making it beautiful again. Area rugs, just like carpeting, can absorb dirt and other contaminants. These contaminants can cause the material to break down and the rug to deteriorate. Dirt particles, for instance, can cause friction with each step on the rug. The more traffic that the rug sees, the more friction and the more wear. Stains can become extremely difficult to remove from a rug, especially when they are left for an extended period of time. On your own you may have little hope of getting the stain out. When liquids, foods and things like pet urine get on your rug, they can be absorbed into the material. These contaminants can cause unpleasant odors which can be very hard to remove without a professional cleaning. Often the odors you smell on your rug are the result of bacteria growth. Contaminants encourage the growth of bacteria, which then lead to unpleasant odors. Professional cleaning is often the only way to eliminate the bacteria safely from the rug. Rugs act as a filter, and can absorb all sorts of airborne allergens. If anyone in your home is sensitive to such allergens, the rug can become a source of discomfort – a source you may not even be aware of. While it may be tempting to scrub away at your rug to clean away all of the different contaminants in your rug, this method is usually not effective. The contaminants are deep in the fibers of the rug, where you cannot reach with the tools available to you. At Chad’s Carpet Care, we have the tools and methods to get to those deep contaminants – without applying unnecessary friction to your valuable rug. Having cleaned a substantial number of area rugs, we have an appreciation for the value of your rug and for the delicate touch that this work requires. You can expect us to treat your rug well, only using the minimum amount of effort to get the maximum results. Our approach ensures that your rug is not damaged in the cleaning process, but that you still wind up with a clean, beautiful rug. If you have area rugs that you want to clean and protect, we would love the opportunity to help. Please contact our team today to get your rugs clean and looking great again!